At Baltimore Tree Trust, we work to restore our city’s urban forests—green spaces and corridors that provide clean air, encourage community engagement, and nourish an appreciation for Baltimore’s environmental longevity. We plant and care for our city’s trees because of their lasting positive effects on neighborhoods citywide. While there are countless ways to contribute to sustainable community development in Baltimore City, we trust that by investing in the planting and care of trees, as well as the education and development of those who tend to them, Baltimore can be a leader in the field of green infrastructure and its impacts on public and environmental health. 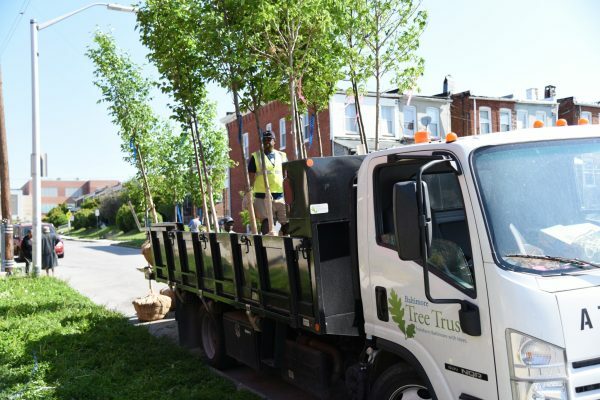 Since our inception, we have planted over 5,500 trees on private property and in low-canopy neighborhoods throughout Baltimore City, actively spearheading efforts to achieve Baltimore’s 40% urban tree canopy goal. Our vision is to plant 10,000 trees a year–trees that will shade our residents, cool and clean the air, and lessen the effects of climate change on our city. The Baltimore Tree Trust (501c3) was founded in 2008 to make Baltimore a greener and healthier place to live. Our initial priority was to “plant out” the Harris Creek Watershed, an underground creek spanning from Canton to Clifton Park in east Baltimore. This area of Baltimore is one of the main “urban heat islands” in our city–reaching temperatures that are up to 16°F hotter than other leafier neighborhoods at the same time on a summer day. 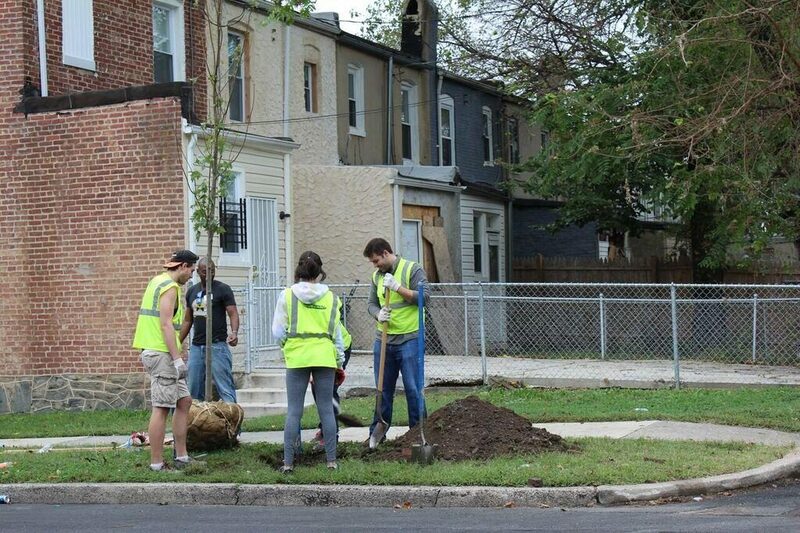 We began working in the McElderry Park neighborhood in 2012, where we planted 464 trees by April 2015. Since then, we have been working in the surrounding neighborhoods that make up this watershed, planting a total of 5,600 trees and counting. Our trees will shade, clean and cool these streets for decades to come, not only preparing our city for the effects of a changing climate, but contributing to a stronger sense of place for our residents. To us, trees make neighborhoods, and since 2008, we have been grateful to be a part of this work.